Mobile app marketers are continuously looking for new platforms to launch their mobile app marketing campaigns. This time the new kid on the block and the new focus of app marketing agencies is Snapchat ads. 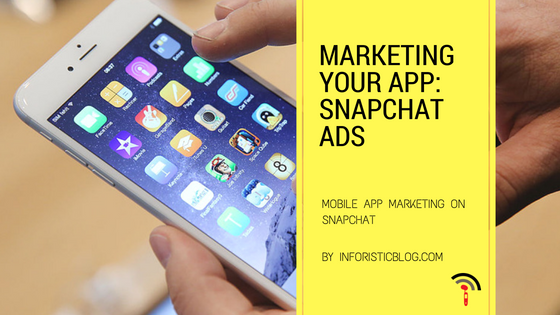 What is the potential for mobile app marketing plans on Snapchat? Although, known with Video marketing, Ads on this social media platform are relatively new and Snapchat seems intent on growing as a platform for ads. For example, it is assisting marketers by "doling out free stats to brands" These stats and metrics provide valuable information to marketers such as demographics and data on how many people downloaded and opened the app. The platform takes this last feature up a notch by providing a set of post app download metrics that show mobile app marketing agencies what the user did with their app. How’s that for a mobile app marketing opportunity? There are over 300 million active users on this platform, the majority of them being young people. That's 300 million people to target with your mobile app marketing strategy. The best part? You don't need to have a presence on the platform to launch your app install ads. If your product fits the Snapchat community description, it is worth a shot. The platform might still be in an early stage for ads, but we think it is evolving fast. Already, app marketers can target their audience on the basis of age, gender, location, content preferences and device used. The targeting may not be on par with those on Facebook Insights, but it's still pretty good. Long, elaborate ads have never known to be successful. Snapchat’s short, second only rule takes the importance of succinct ads to a whole new level. While we understand making such short ads will be tough for some mobile app marketing services, it will ultimately force marketers to create ads that are simple, powerful, and unique if they want to thrive. Who knows this time constriction might kick off a new single-minded, concise ads type into the mainstream media? Out of all app install ad features Snapchat has, deep linking stands out the most to us. We know the goal of marketing mobile apps online is not just limited to gathering new leads; sometimes re-engagement campaigns are necessary. The deep linking feature targets this pain point. Though the primary purpose is to retarget users who already have your app installed this advert also directs users who do not have your app to the app store. From the looks of it, Snapchat is moving at a fast pace. It has a lot of opportunities and we hope to see it reach its true potential as a mobile app marketing platform soon.